A Bangkok-bound Eastern & Oriental Express train at the old Kuala Lumpur Railway Station, Malaysia. Eastern & Oriental Express train arriving at Woodlands Train Checkpoint, Singapore. It runs between Singapore's Woodlands Train Checkpoint and Hua Lamphong, Bangkok, stopping at Kuala Lumpur, Butterworth, and Kanchanaburi, taking three days (two nights). Since 2007 the train has also travelled between Bangkok and Vientiane, the capital city of Laos. The train is operated by Belmond Ltd. It runs several times a months most of the year. 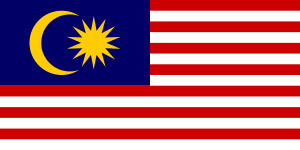 Fares on the Bangkok to Singapore train in September 2015 (four days, three nights) start at US$2,690. The train was built in Japan in 1972 and operated as the Silver Star in New Zealand. All 31 carriages were later operated by Orient-Express Hotels, which in 2014 changed its name to Belmond Ltd. Twenty-four carriages were regauged from New Zealand's 1,067 mm (3 ft 6 in) gauge to 1,000 mm gauge for Thai and Malaysian railway lines by A & G Price of Thames, New Zealand. 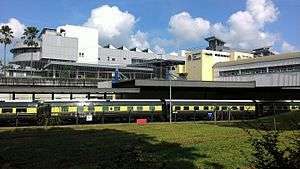 An extensive internal rebuild and fit-out plus exterior painting and badging was undertaken by the new owners at their (then) newly constructed maintenance depot on KTMB land in Singapore's Keppel Road rail yards. The design of the remodelling was by Gérard Gallet, the man behind much of the design and refurbishment of other Belmond products such as the British Pullman and the Venice Simplon-Orient-Express. The train has two dining cars with tables that seat two or four; it has two bar cars, one of which has a large open-air observation deck. It also has a library car and a saloon car for overflow dining. 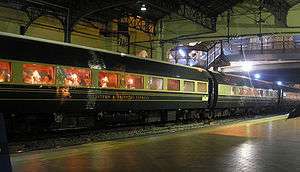 The train is fully air-conditioned, and has two presidential sleeping cabins, state compartments (four to a carriage), and Pullman compartments. The smaller Pullman compartments are not offered on the six-night program. The Eastern and Oriental Express operates nine routes. In 2010 it began new all-inclusive tour programs of six nights. For example, Epic Thailand starts and ends in Bangkok, and visits a number of villages, temples, and Chiang Mai before returning to Bangkok. ↑ "BANGKOK-SINGAPORE". Belmond. Retrieved 1 June 2015. Train journeys on the Eastern & Oriental Express and Thailand's 'Death Railway' - Daily Telegraph.